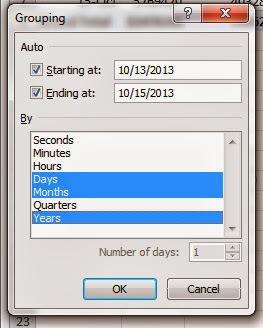 Excel 2010 is sending my data into the future -- one day into the future. I start with a worksheet containing times. I then create a Pivot Table from this data and tell Excel to group the dates by Years, Months, and Days. 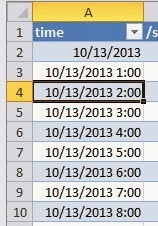 When I drill down by double-clicking on values in my pivot table, it again shows the correct dates. This issue led to me wasting time trying to reconcile data that would not reconcile because I was comparing the wrong dates. At least I didn't make any important decisions based on this off-by-one-day data prior to realizing what was happening.